Kirsten and I decided to set ourselves a goal of spinning (at least) 10 minutes a day this month. So last night, I got to it. 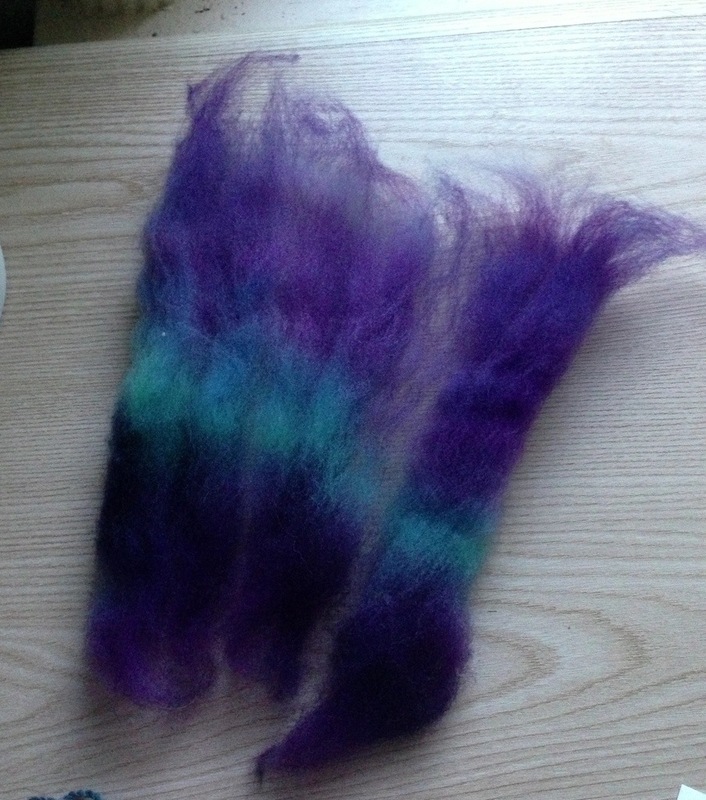 I actually spun for close to half an hour (it’s so hard to stop!) and then another ten minutes this morning, and BAM! I’m still learning my wheel, which I just got in June. This is the first time I’ve spun with the slow whorl on it, and I had a few issues with take-up (sometimes the double-drive system confounds me, even though I currently have it set up for single drive – does that make sense? I mean, there are still two adjustments that can be made – the tension wheel and the brake band – as opposed to only the one adjustment I always made with my Ladybug). Anyway. I got all these singles packed on this bobbin and I was certain I could finish up the fiber but it just would not wind on anymore – not for lack of space on the bobbin, but for lack of any take-up at all. I’m probably doing something wrong. Anyway, I have this teeny bit of fiber to spin up on a fresh bobbin, then I’ll wash/finish this yarn and move on to the next spin. It’s always so much fun to decide what will go on the wheel next! Of course, with all this spinning, I made no progress on my current design-in-progress. Whoops! Your wheel does sound complicated. I’m used to my Louet with it’s single drive band, I suspect I will struggle with the same issues you’re having when I finally get my dream Matchless. Have you found You Tube videos and other resources to help work it out? I admire your commitment. I’m not there yet, I’m hoping to get my new wheel out of layaway, but I’ve still got my majacraft rose. I spin in fits and starts. I’m glad I ran across your blog post. I had owned a cherry double treadle Schatch Matchless wheel. I finally sold it because I had SO much trouble with tension and take up in BOTH double drive and single drive/scotch tension, that filling a bobbin was and spinning anything heavier than a sport yarn was impossible. but worst of all, was plying! Shortly after I got the wheel, (this was the 40th anniversary wheel) the treadles would knock together and also on the outsides of the legs. 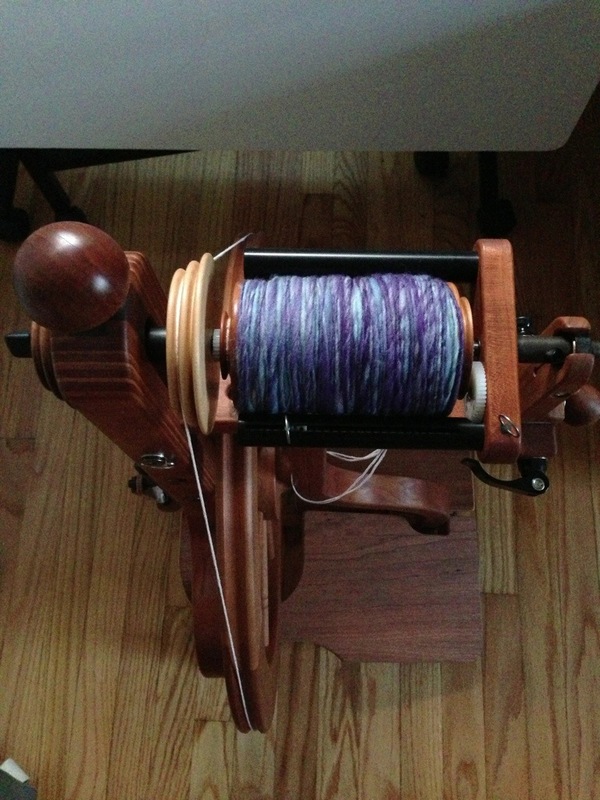 Schatch admitted they had a design flaw and if I took the treadles off and sent back, they would rework them for free. I did, and they didn’t knock together anymore, but they did hit the outside legs. After awhile they came up with a new part to purchase and attach to the treadle bar for the fix. I had wondered if anyone else had tension/take up problems as well. Especially on the cherry wheel. I found cherry wood is lighter in weight than maple, so wondered if that had anything to do with it. Anyway, letting you know it’s not you with the tension/take up problem. There is probably a fix, but I have other nice wheels, so didn’t mess with this one after 2 years.